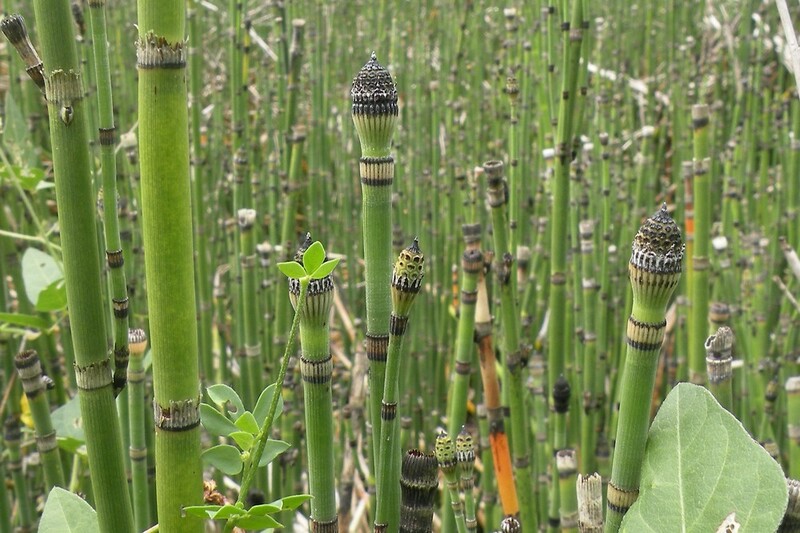 Tall scouring rush is so called because its high silica content made it useful, in the past, for polishing or scouring metal, pewter, and wood. 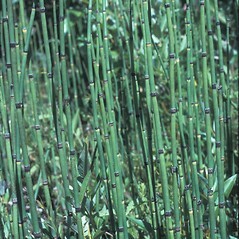 Dried pieces of common scouring rush are still used by woodwind players to scrape and shape reeds. 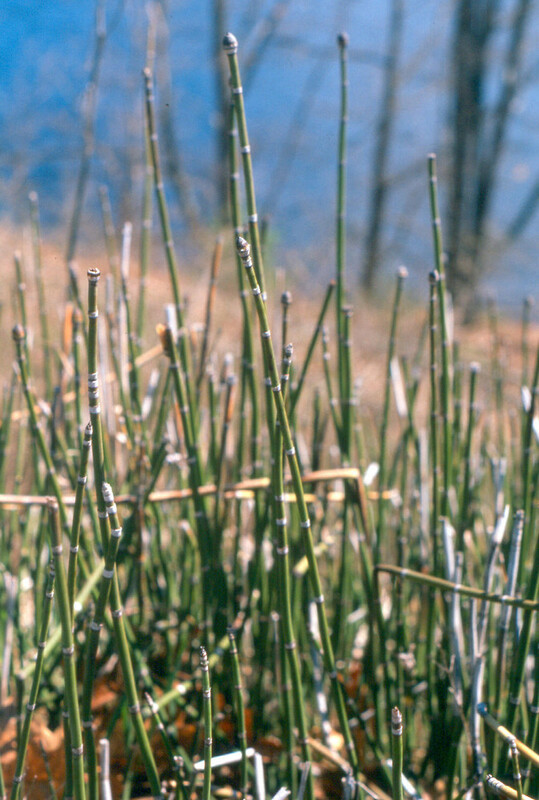 stems with 3-12 ridges and persistent leaves (vs. E. hyemale, with stems with 14-50 ridges and deciduous leaves from all but upper nodes). 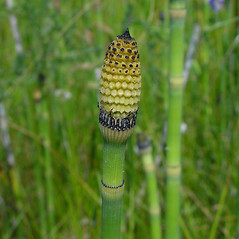 Equisetum hyemale L. var. robustum (A. Braun) A.A. Eat. 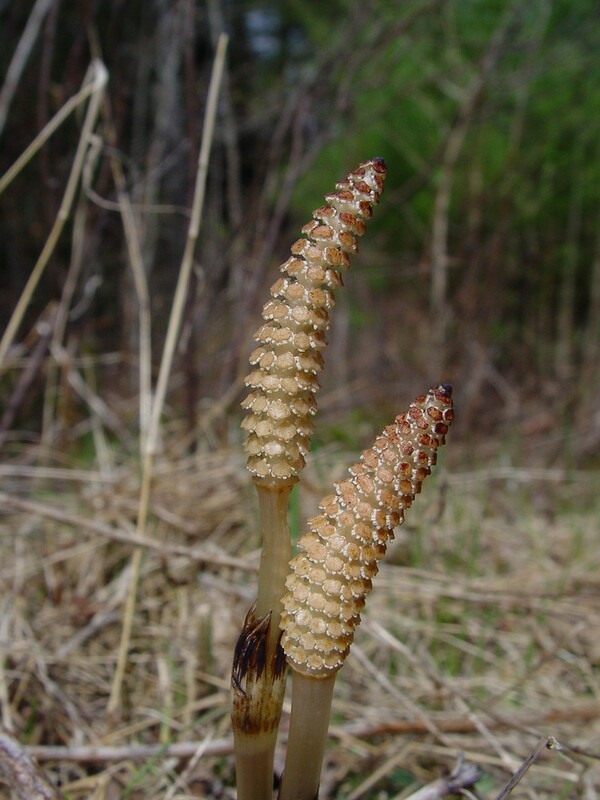 Our subspecies is Equisetum hyemale L. ssp. affine (Engelm.) Calder & Taylor. 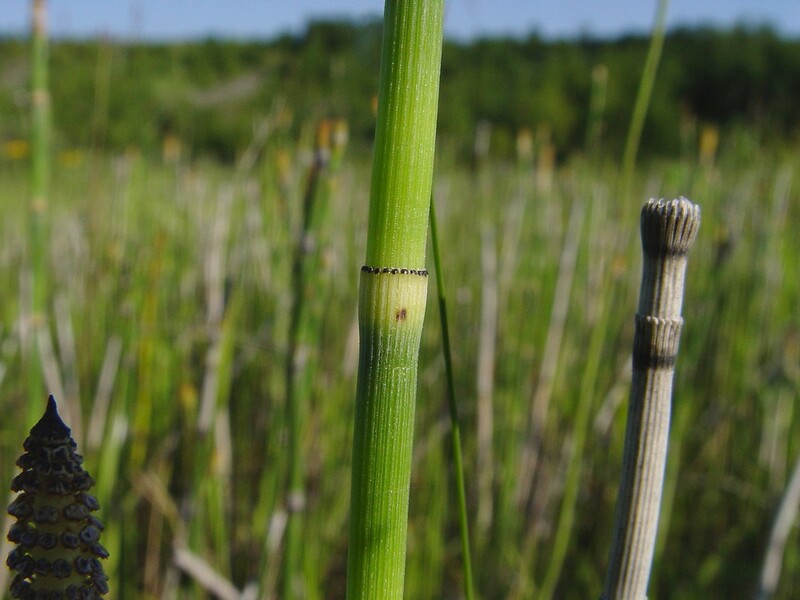 tall scouring-rush. 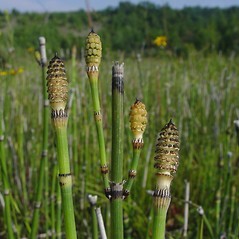 Equisetum hyemale L. var. 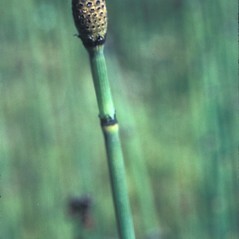 robustum (A. Braun) A.A. Eat. 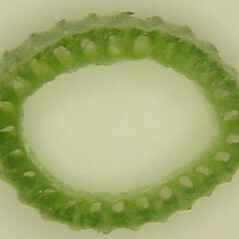 ; Hippochaete hyemalis (L.) Bruhin ssp. 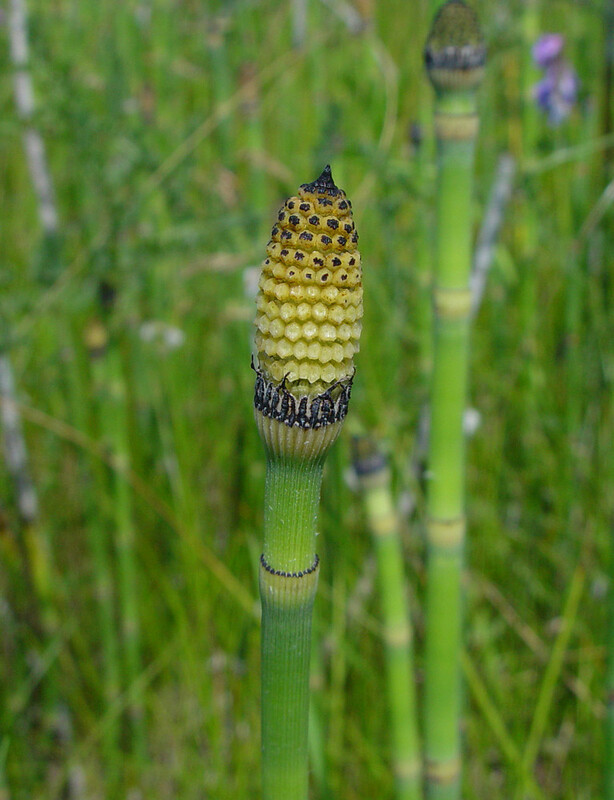 affinis (Engelm.) Holub • CT, MA, ME, NH, RI, VT; throughout. Sandy slopes and roadsides, riverbanks, and borrow pits. 3×8. 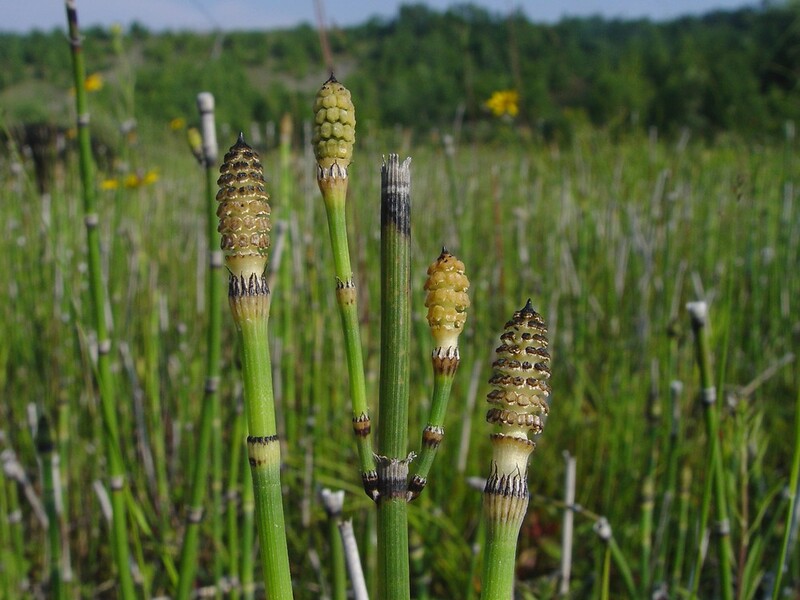 Equisetum hyemale × Equisetum variegatum → Equisetum ×‌mackaii (Newman) Brichan is an infrequent scouring-rush hybrid known from CT, MA, NH, VT. It is found in many locations where the parental taxa are sympatric. 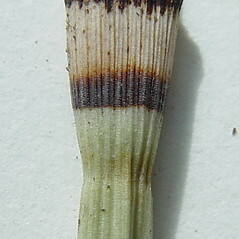 It has 7–16 leaves at each node that are persistent or some deciduous, with dark centers and thin white margins (the white margins broad and prominent in E. variegatum). 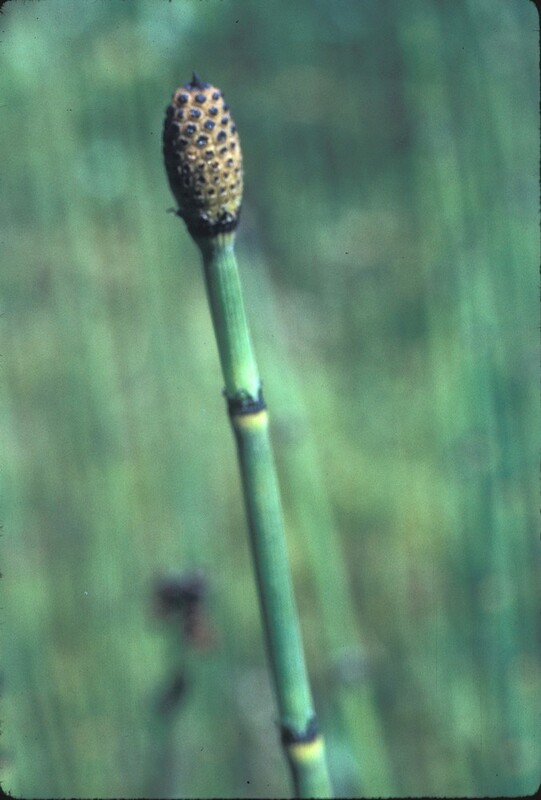 The sheaths have an apical black band or are ± black throughout, only rarely developing an ash-gray medial band (as in E. hyemale). 3×E. 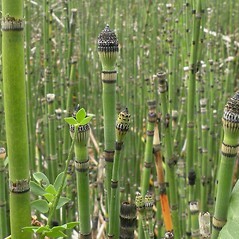 laevigatum A. Braun. 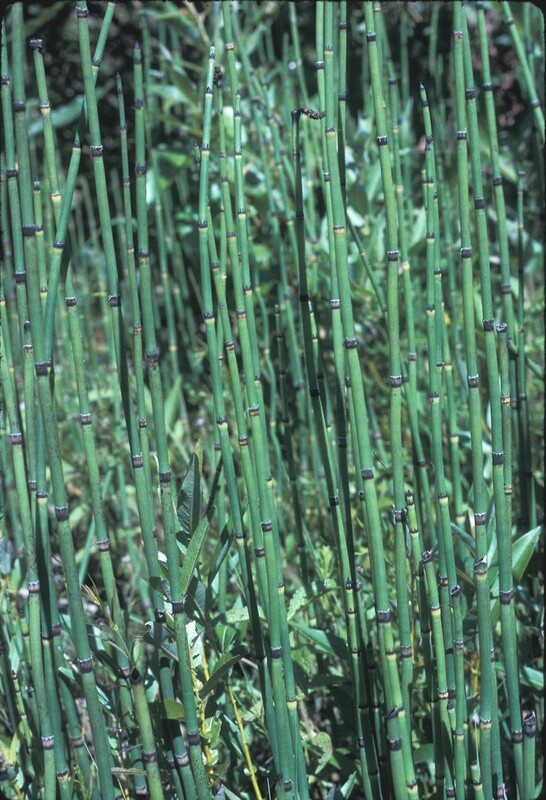 Equisteum ×‌ferrissii Clute is a very rare scouring-rush hybrid known from CT, MA. 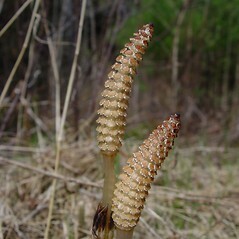 It is much over-reported in the region, and most collections are merely variants of E. hyemale. 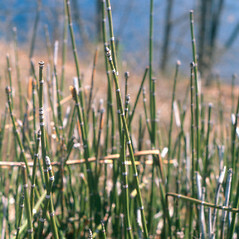 Like other New England members of the former subgenus Hippochaete (species 3, 6, and 8), it has an apiculate strobilus apex. 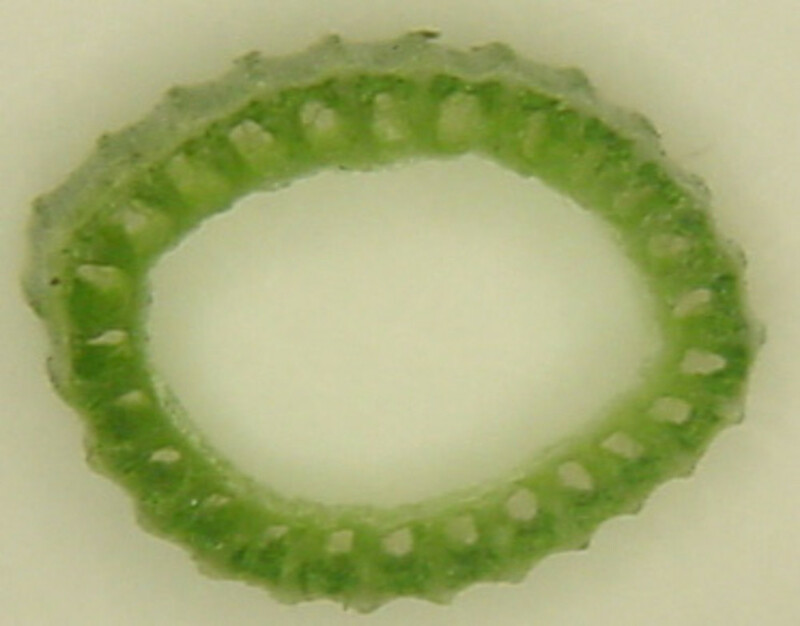 The leaves number 14–32 at each node. 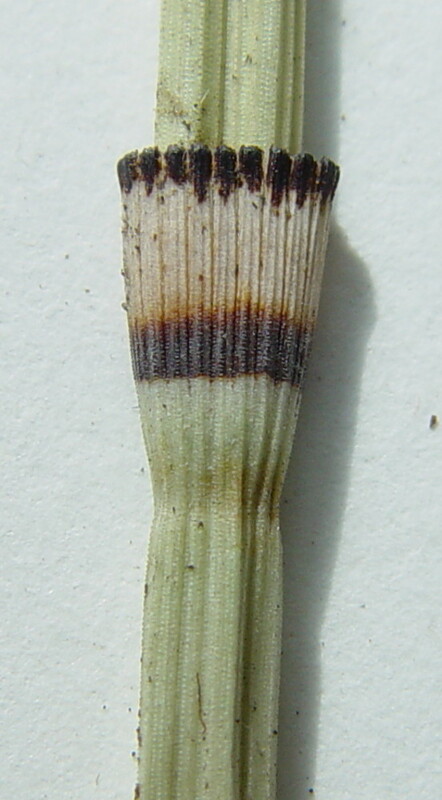 The sheaths often flare upward and have only a thin apical black band below the articulation point of the teeth, rarely developing also a brown basal band (rather than with apical and basal black bands separated by a medial ash-gray band in E. hyemale). 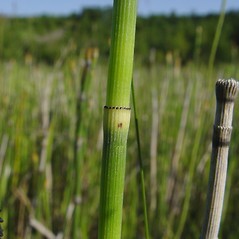 The stem internodes of this hybrid have low, blunt scabrules on the ridges (rather than conspicuous, sharp scabrules as in E. hyemale).